Every dash cam doesn’t have features that might not be the same. Although there are many budget cams available, BlackVue takes a different approach to the DR750S-2CH and provides a full camera with various additional technologies and features. When you start opening the box and you will see with various accessories and extras. 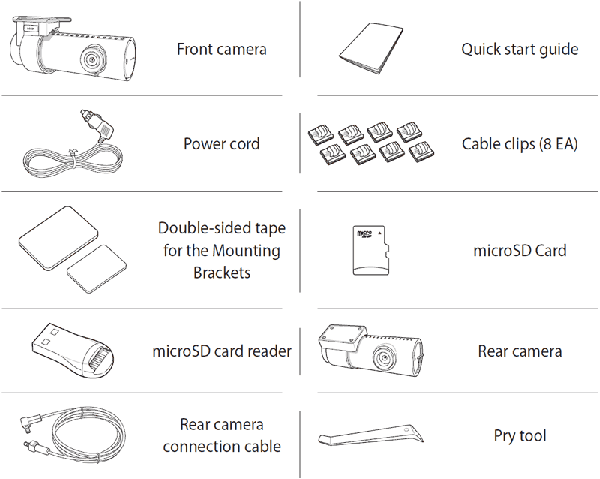 These include eight cable clips, double-sided tape for the mounting bracket, scribbler, cable, some literature, and two cameras. 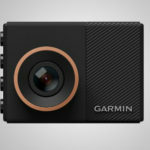 MicroSD cards and readers are also available in packages, which rarely happens at any price point when it comes to the dash cams. An optional Tamper-Proof case is also available, which blocks physical access to the microSD card slot, and prevents the ability to unplug the cable. This will be very useful if you have just recorded something and you do not want to miss an important moment for you. Indeed, the design is relatively simple, with a front and rear camera wrapped in a cylindrical shell mounted on the holder. The polycarbonate material feels sturdy enough to hold one or two drops and the black coating is a smart choice, making the camera barely visible in low light. * For recording Parking mode, Battery Parking Mode (Power Magic Battery Pack) or Hardwiring Parking Mode Kit (Power Magic Pro) is required. 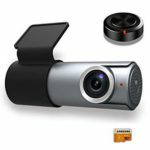 Blackvue DR750S-2CH is one of the dash cams of having full features, this is distinguished Dashcam from others. 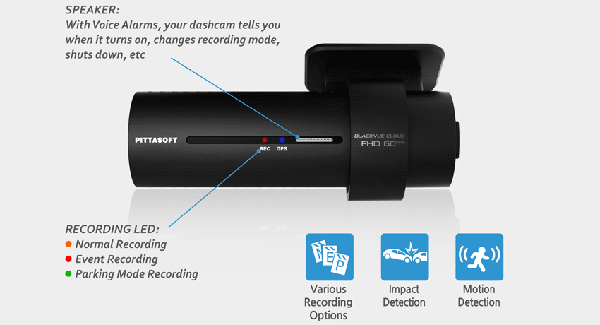 The BlackVue DR750S-2CH dash cam design includes a simple, tubular front and rear camera. For the front camera around 1.4 inches in diameter and more than 4.6 inches in length, while the much smaller rear camera is only under one inch in diameter and 2.6 inches in length. Both use the same 2.1MP STARVIS sensor and a maximum of 1080p at 60 fps with a 139-degree horizontal field of view. BlackVue DR750S-2 camera with a lens cover that is easily removed from the stand. To connect the camera by connecting via a small cable coaxial pin connector, only much smaller. This may not be too sensitive and requires attention if you often connect/disconnect the cable. The front unit is supplied with power through a pure power adapter that needs to be connected to the cigarette lighter power socket, while the rear camera takes power through the coaxial cable from the front camera. The DR750S-2CH mounting design is made for convenience. Both cameras enter the stand and can rotate 360 degrees fully. The front camera clicks-stop to hold it in position, and you have to press the unlock / key to open it. The rear camera just came out, held in place because of friction. 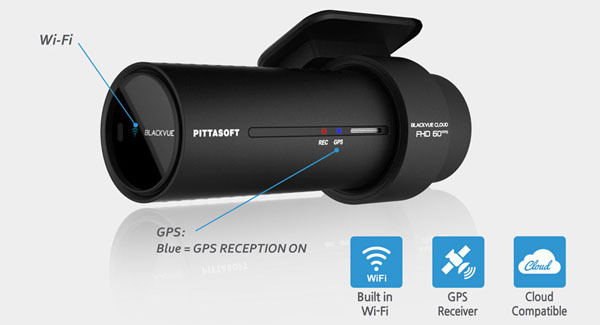 The hidden design of the BlackVue DR750 is combined with easy access to useful functions. Proximity sensor: enable and disable audio recording only by waving your hand in front of it. This sensor can also be configured to trigger a Manual Event video in settings. Wi-Fi button: turn Wi-Fi on / off (press briefly), reset your Wi-Fi password (hold down to voice prompts, then briefly press) or format the microSD card (hold down to voice prompts, then hold again). All actions are confirmed by voice prompts. Automatic switching is a useful feature. Many dashboards have parking modes in menu options, but you have to turn on and off every time you enter and exit the car. Dashcam needs to do this for you automatically so you don’t have to do it manually. If dashcam requires doing it manually, this is not a good parking mode dashcam. The DR750S uses the G-sensor and GPS to do when you park and automatically switches to parking mode. When you go back to the car and start driving, it will switch back to driving mode, and this is a really fun feature. Still with the advantages of the 750S-2CH BlackVue, which also has collision detection if someone crashes into your car. Moreover, this dashcam also offers pre-buffer recordings. Some cameras are in parking mode and just wake up and start recording after you are hit. If this happens, the recording that can be seen is just a car in front of you and then drove away. Pre-buffered recordings are to record all the time when you feel the impact, before the impact, during, and after, so you get a complete record, including when you were really hit and before. This is amazing. This way you get complete video evidence. Maybe when you return to the car the DR750S will announce “Impact detected in parking mode” to notify you that something has happened. This situation is sometimes triggered by your mistake when opening and closing the trunk or getting into the car and closing the door, but you don’t leave immediately. The impact when you have parked can trigger a warning to be detected as well so that it is something that must be considered. The added value for the DR750S is being able to record constantly while parking. This is useful if something happens like a car accident near you. That won’t trigger impact detection if it’s not about you and it won’t trigger the motion sensor if it’s a little far from you. However, it’s still cool to record. Make sure you choose a large memory card so you can record for hours, especially if you use this feature. When you use parking mode, maybe this will drain your camera battery, and you want to enter that the camera can be powered so it doesn’t drain the battery. The best way to do this is to use a Power Magic Pro battery monitor. This will connect to the fuse box and monitor the battery voltage level of your car. This will make your DR750S record for hours until the battery voltage drops too low and then turns off. You can now buy DR750S-2CH with Power Magic Pro in one package. The DR750S has a WiFi feature, helps you direct the web camera during settings, and view and download videos directly over the phone. With Wi-Fi it allows you to be able to connect to your BlackVue using a smartphone or tablet. Wi-Fi also allows your BlackVue to be connected to BlackVue Over the Cloud via a home or cellular Wi-Fi hotspot (router). Speed: speed data will be spread in the video (can be turned off in the settings). You can set the speed display in Kilometers per hour (Km / hour) or Miles per hour (Mph). Location: visualize the location of your vehicle in the BlackVue Application or Map Viewer. WiFi connection included is quite fast and responsive for the DR750S dash cam, this is better than the BlackVue DR650S-2CH model. To download the 1-minute video file, 96 MB to iPhone takes less than 30 seconds. That’s several times faster than some other cameras’ WiFi. When you are on a WiFi hotspot network in your car or when parking wherever you are and there is a nearby Wi-Fi signal to reach WiFi, the DR750S allows this device to connect to the cloud. You are free to enjoy remote Live View or Push Notification to your phone. Or you can also back up important videos to the cloud remotely. Play or download videos from your dashboard memory or Cloud from anywhere. 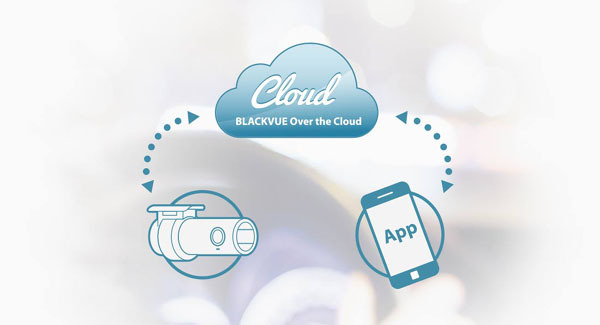 With BlackVue DR750S-2C you are free to enjoy two-way voice communication with drivers from the application via the integrated BlackVue speaker and microphone. You can also use the motion detection feature if you want the DR750S to record when someone approaches your car. But this motion detection often provides false warnings when parking in a crowded area. If this feature is annoying you can disable this. Blackvue has software for Windows and Mac. This software allows you to view recordings of your recordings, change your dashboard settings, and even access your videos remotely stored in the cloud. With this software, you can easily switch between front and rear camera views, or watch both simultaneously if you want, switch between marked event clips or normal driving videos, or normal parking videos. This software allows you to jump between different days and times, see your speed and where you are, watch your videos in slow motion, or zoom in on a video section to take a closer look at the details that are considered important. There is no doubt that video quality is good. Although not extraordinary. When you see a vehicle in front, it usually looks at the license plate which is the most important thing. If the distance is more than one car or more, the condition is quite difficult, but it’s quite typical for the 1080p dashboard. The DR750S uses the new Sony Starvis sensor which provides good low-light performance for the front camera. The DR750S also has a night vision mode to help you see in the dark, increasing the sensitivity of the camera at night. For the rear camera video recording at 1080p is also like the front camera. This causes a striking difference in terms of capturing the details behind you like a number plate. Having a rear dashboard, in general, is very helpful for you. For example, if you reap a parking lot, the rear camera will capture everything that happens behind you that covers most of all important things. The rear camera will record what is happening at the back end and you can see what the other driver is doing. The front camera, in this case, can not accommodate the rear, so the rear camera task is important. 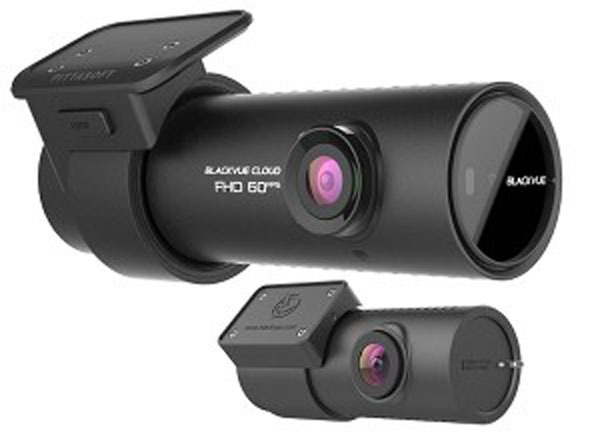 Often referred to as one of the best solutions for regular or professional drivers, dual-camera BlackVue includes many bases and offers many additional features that can justify a high price tag. The video quality for the front and rear cameras are quite good. The ability to record at night is also pretty good.The design of the parking mode function is also good. The software is also good. Responsive WiFi.The design is in the form of a hidden black tube and low lock. But the small rear camera is a bit of a problem.